I'm just going to get straight into it and say that this is probably now one of my favourite items I own. 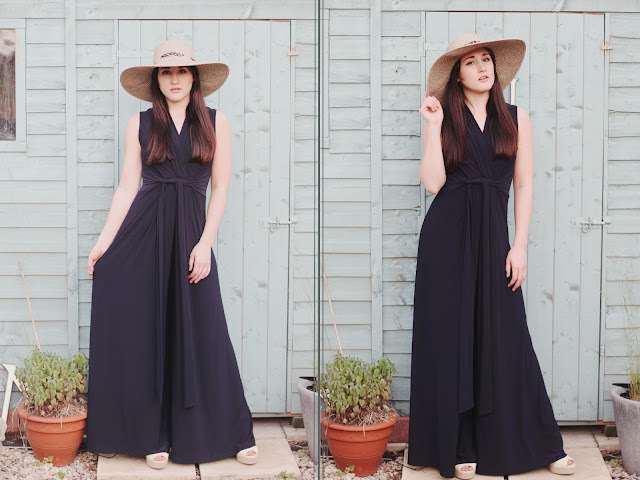 I've never tried on anything from Phase Eight before so wasn't sure what to expect, but this jumpsuit is so heavy as the quality of the material is amazing! It's not heavy in that it's uncomfortable to wear, but you can really feel that it actually has substance and will last a long time. As for the fit, once again I'm in love. It hangs so effortlessly and I personally think it looks amazing. It's one of those items that you really don't need to go overboard with accessories as it just speaks for itself. As you may know, Phase Eight is a little on the pricey side (especially for a poor teen anyway!) but now owning this, I can really see why. You pay for the excellent quality of the material, the way it's made, the fit and the sheer beauty of it. If you can afford to buy from there and you're after a dress or something for a special occasion then I highly recommend Phase Eight. Oh my gosh, it looks stunning on you! Like seriously amazing! 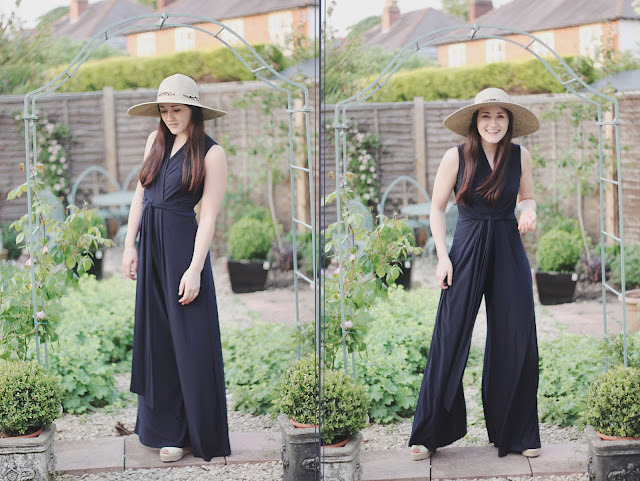 Love this jumpsuit, I have a similar one in cobalt blue! wow that jumpsuit has to be one of the prettiest I have ever seen, though it looks so simple at first sight! I love how you've style it, you look so pretty! love this outfit, the jumpsuit is so classy looking. lovely blog as well, would love it if we could perhaps keep in contact and follow each other on GFC? please feel free to check out my blog and let me know if you'd like to.